Home / Screening / Prince Charles Cinema Screening 'Friday The 13th' This January! 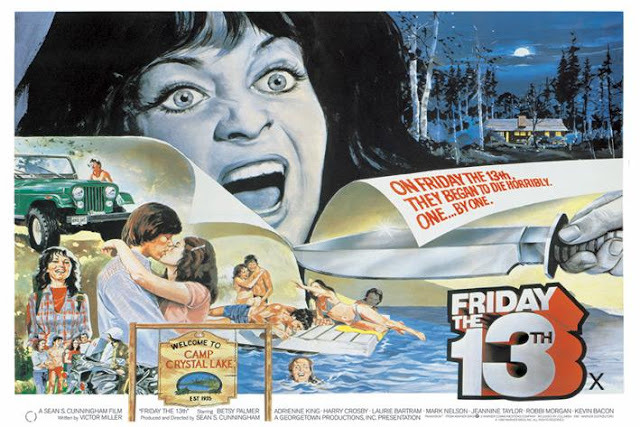 Prince Charles Cinema Screening 'Friday The 13th' This January! Friday The 13th fans have been treated to a plethora of film screenings for the franchise the last few years and to kick off 2017 and celebrate the latest Friday The 13th date, The Prince Charles Cinema will be showing Friday The 13th 1980 on January 13th! The Prince Charles Cinema, the last of the independents still operating in London’s cine-famous West End. The theater has hosted numerous Friday The 13th screenings and marathons in the past which makes for a fantastic experience. If you live in the area, visit princecharlescinema.com to buy tickets today! Crystal Lake's history of murder doesn't deter counselors from setting up a summer camp in the woodsy area. Superstitious locals warn against it, but the fresh-faced young people -- Jack (Kevin Bacon), Alice (Adrienne King), Bill (Harry Crosby), Marcie (Jeannine Taylor) and Ned (Mark Nelson) -- pay little heed to the old-timers. Then they find themselves stalked by a brutal killer. As they're slashed, shot and stabbed, the counselors struggle to stay alive against a merciless opponent.